Compliance Notice: By June 30, 2018, any system that connects to PayPal via HTTPS must support TLS 1.2 or higher. To avoid any disruption of services, ensure your systems are ready. You must have a PayPal Business Account. For live transactions, you must enable SSL / https for your domain. 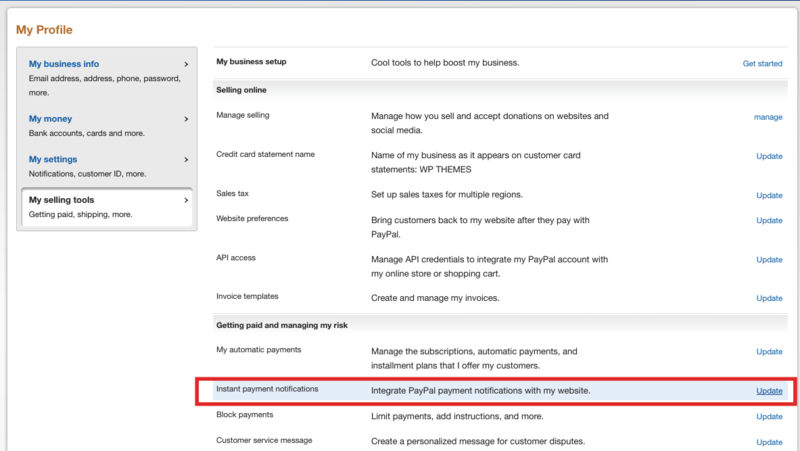 The settings for PayPal can be found in Theme Options – Membership – PayPal Settings. The page itself is not a link that should be accessed directly. The API will use it to communicate with the theme and the merchant. You will see a generic message when opening the URL in the browser. It’s correct and there is no issue with the page. Have only 1 page with this template! 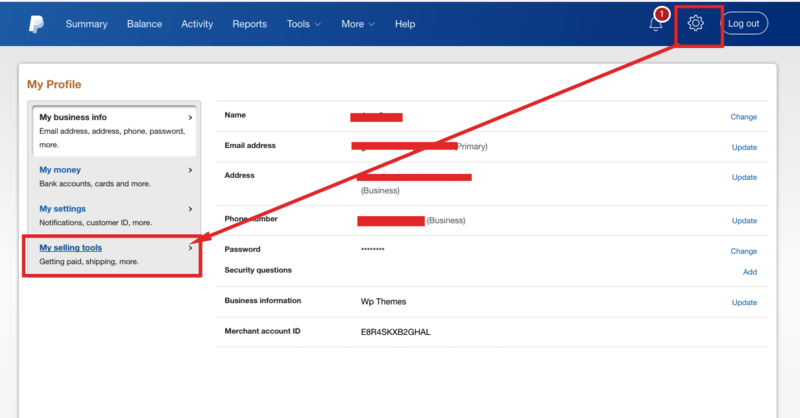 If you wish to test with sandbox mode (all transactions are purely fictional) you must create your own business sandbox account from Sandbox – Accounts and select it when you add a new app. 6. 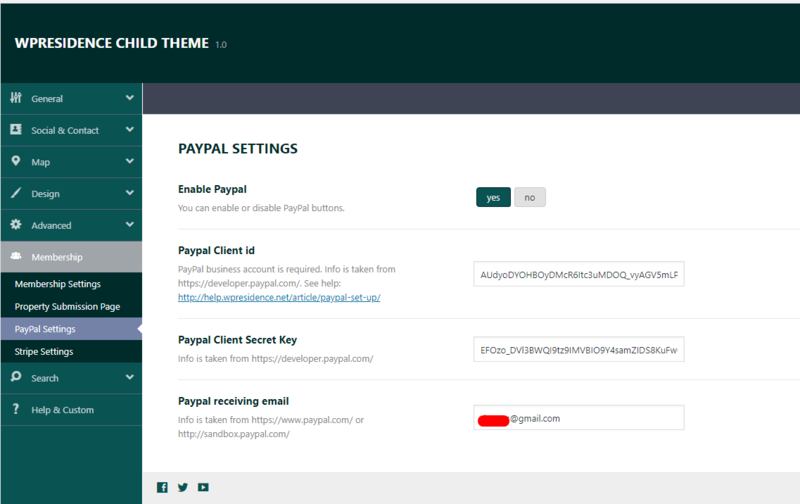 Copy the Client ID and Secret id and Paste in Theme Options. Be careful when copy SANDBOX or LIVE. You must set the theme options to match Sandbox or Live settings. 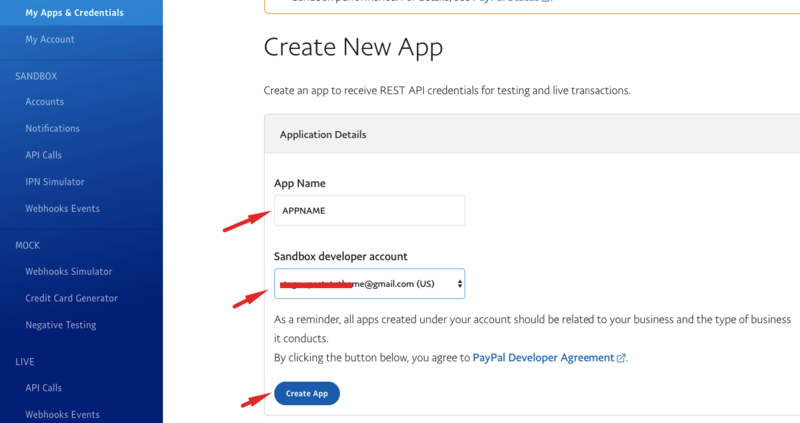 For sandbox tests, you must go to https://www.sandbox.paypal.com/, login with the sandbox account you created above. 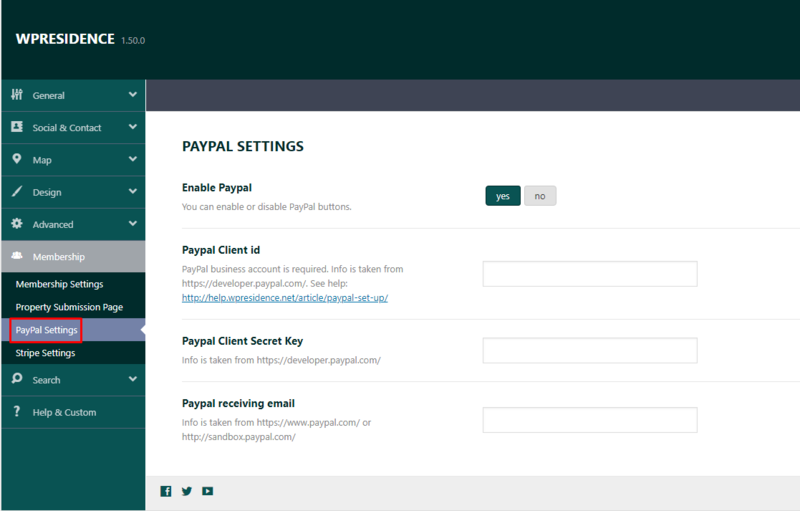 Only one Payment Processor page with template Paypal Processor can be created. If there is a duplicate of this page, PayPal will not work. You need to have values bigger than 0 for “Price Per Submission” and “Price to make the listing featured”, if “Per Listing” mode is enabled. Important! PayPal doesn’t work if in membership packages titles use punctuation. Refers to your website tagline. Which is longer than the allowed characters. 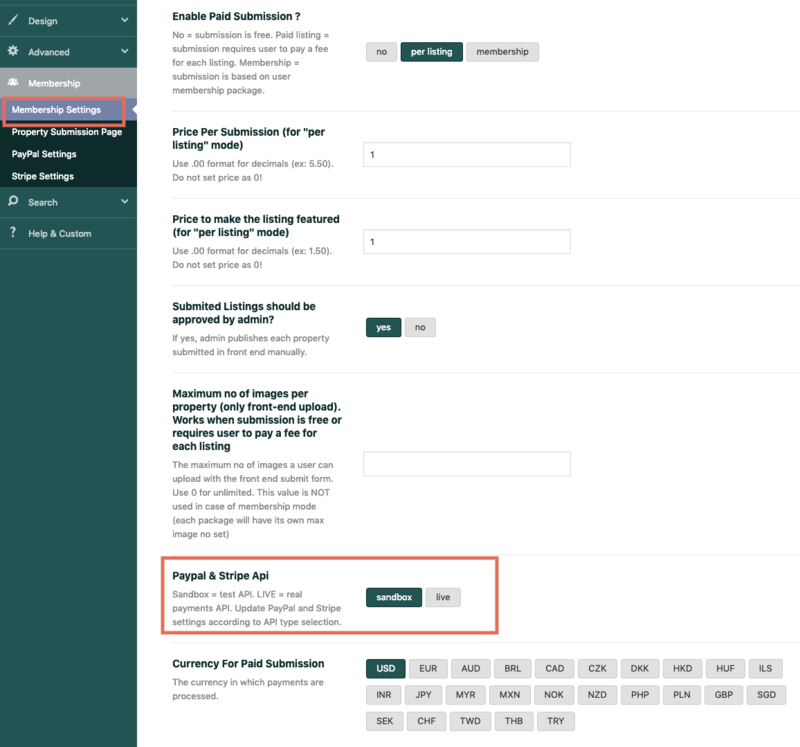 Change that shorter in Theme Options – General Settings. Error says you have wrong API copied. Make sure you didn’t copy a blank space by accident. 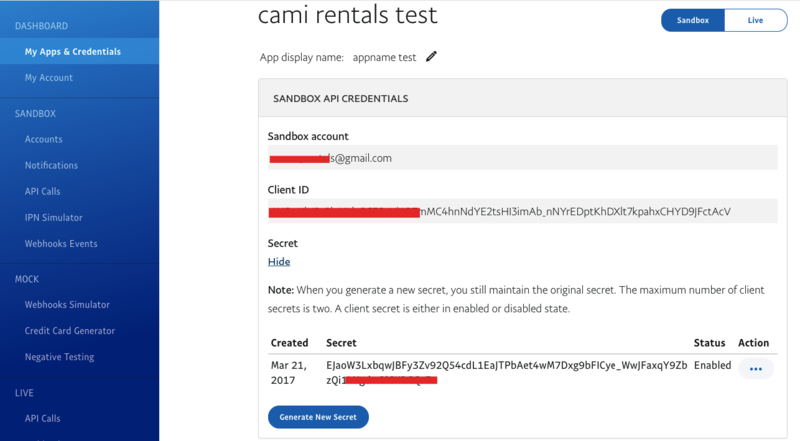 Make sure you use sandbox with sandbox credentials and live with live credentials.